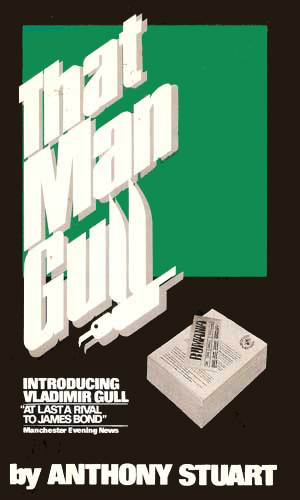 Vladimir Gull is a freelance translator, often working for the U.N. He is not a spy. Most people think he might be and several from both sides try hard to make him be one but he is no spy. He is a simultaneous translator, a man responsible for listening to one person speak and translating it instantly and on the fly to someone else. As such, he is very much in demand. This ability to listen and to think at the same time helps keep him alive on more than one occasion. He had not always worked as an interpretor, however. In a former life, he was known as Vladimir Chaikov and was an ordinary soldier in the Red Army. When they invaded Hungary in 1956, Vladimir detested what he was ordered to do and decided to defect. His talent for languages and an inate ability to blend in helped as he assumed a new identity and worked his way into a new life in the West. Now, years later, he is a British citizen and able to come and go as he wishes. His skill as an interpreter is excellent and he is always in demand. As a former Soviet, however, he can't help feel he is always being watched. Additionally, he does miss Mother Russia. Luckily, vodka can help deaden the homesickness and relieve the phobias. Though he is not a spy, his job as a translator makes him a perfect candidate for getting involved in such activities, even if usually unintentionally. He also has a ingrained urge to help his friends, especially his female friends. He is not overly brave and certainly not the perfect fighting specimen but he is tenacious, resourceful, and sometimes bull-headed. Vladimir Gull was enjoying his life as a translator, on assignment in Geneva for the U.N. That changed abruptly when he is forced by a man holding a gun to make a false translation, causing a major diplomatic uproar. Now he want to learn why and who. In Rome on vacation, Vladimir Gull comes across an old girl friend watching over a nine-year old count. When the boy is kidnapped, Gull agrees to help, getting involved in intense intrigue. 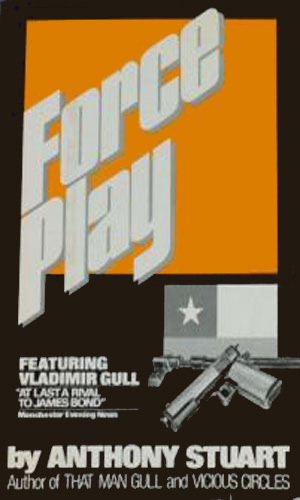 Vladimir Gull suddenly abandons his post at a UN conference and heads to Chile where an old lover is up to her beautiful neck in trouble. Gull soon learns there is no one he can trust as defectors seem to come from every direction. 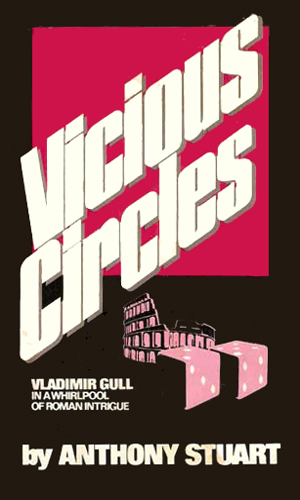 What seemed to start out at a wager over a French nuclear plant's security turns into kidnapping and the theft of a considerable amount of plutonium and Vladimir Gull is inadvertently caught right in the middle of everything. 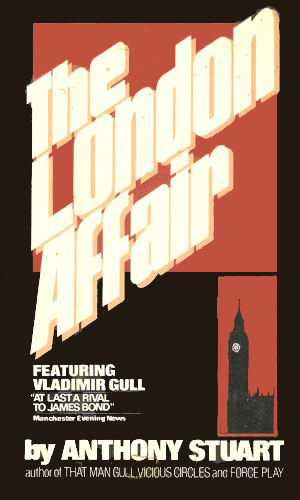 Working again in London, Vladimir Gull becomes infatuated with a female editor of a journal known for causing uproar. Her publisher boss doesn't take threats against his life seriously until he ends up dead and Gull is up against strange political maneuvering. 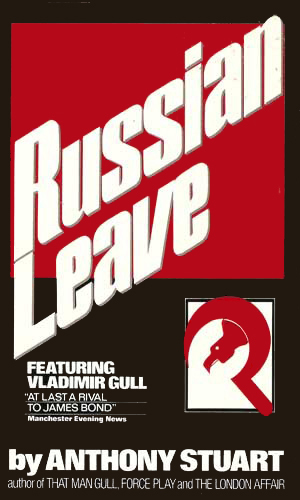 Vladimir Gull is leery about accepting the promise of the KGB but he nevertheless returns to the Soviet Union on a visit to help free the lover of a female colleague. 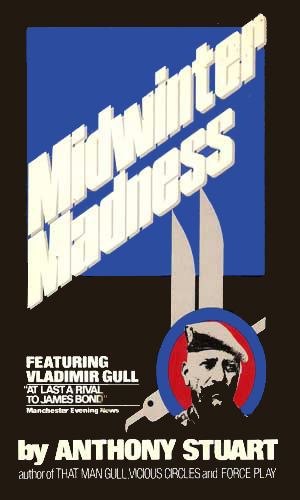 Vladimir Gull is described on numerous book jackets as a bon-vivant and he definitely lives like one. It is fun to share second-hand his lifestyle, though the times he is being beaten or shot at aren't so pleasant. I might like to live as he does if I could make sure not to get into the kind of trouble he invariably does. I wasn't sure I would like Gull. His being a defector carries with it normal negative connotations but I was wrong. Gull is fun to follow and his adventures are very enjoyable reading.